Branding doesn’t happen in a vacuum. Clear Ink works with many companies, agencies, and design and communications professionals to ensure a brand is all it can be. 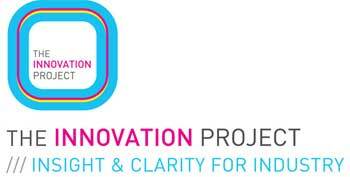 As part of our brand mission we also work with innovation specialists such as the Innovation Project. We believe there’s no point in investing in innovation unless it delivers real returns. That’s why we like the practical approach offered by the Innovation Project. This programme, which we help deliver, assists entrepreneurs and business owners in conceiving and developing innovative new business ideas. The Innovation Project uses a multidisciplinary approach to working, from the way ideas are generated to how they are communicated. It is led by four of Ireland’s top specialists in business, design, content and marketing, including Margaret E Ward, who brings her expertise in brand tone of voice. We encourage participants to embrace new ways of thinking and to realise their innate potential for innovation. All of our facilitators are experienced mentors who have worked with both the public and private sectors to redevelop and nurture creativity, innovation, entrepreneurship and teamwork.